One of the biggest problems people encounter when moving away from processed foods to fresh ingredients is storage. Timing the use of food that’s not chock full of preservatives can be challenging, and spoilage is a common but grim reality when first starting out. For the savvy shopper who wants to get the most out of their purchases, there are some solutions to make your food last. When buying produce, it might be difficult to find enough uses to get through it all. 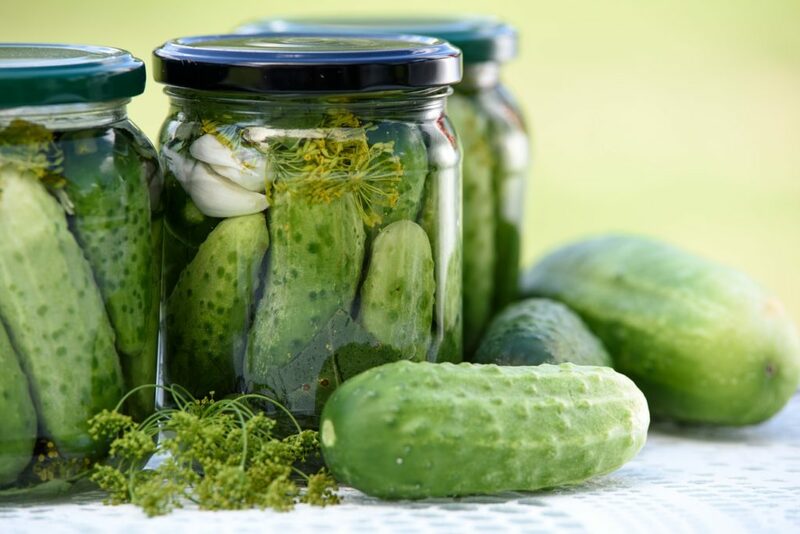 If you find yourself throwing out fruits and vegetables often, you might consider canning. For fruits, jams, jellies, tomatoes, and preserves, you more than likely have everything you need right in your kitchen. These can be canned with the boiling water method, wherein a jar of food is placed in boiling water bath and cooked, creating a vacuum seal. For vegetables, seafood, poultry, and meats, you’ll need a pressure canner to ensure that you can reach a high enough temperature to kill botulism spores. Storing things in the freezer for later use seems like a good idea on its face, but you’ve more than likely realized this often leads to freezer burn. Getting the tight seal necessary to keep cold, dry air away from your food is nigh-on impossible without a vacuum sealer, a valuable tool for anyone trying to increase their food’s longevity. Freezer burn leads to tough, leathery texture, but vacuum sealing pulls all the air from the bag, keeping food fresher for longer. If you’re concerned about the availability of Foodsaver Bags, ones that work with any countertop vacuum sealer are found quite easily online, and you can also find ones with the benefit of being BPA free. Vacuum sealing isn’t just for frozen products, either: anything that sours when exposed to air can be vacuum sealed to extend its lifetime, like cheeses. So many things we purchase come in bags that can’t be resealed, but contain more than a single serving. Trying to keep these types of products from getting stale or going bad in their provided packaging is tough, necessitating the need for good, airtight storage solutions. Plastic containers have the added benefit of keeping out pests like roaches or rodents, which may raid your pantry without your knowledge. Quality storage containers don’t just keep things out; they’ll also keep moisture locked in, leaving food flavorful and delicious. A number of fresh food options can be stored in ways that’ll help them to last longer. Bread, for example, should stay out of the refrigerator to slow the dehydration process. Tomatoes can be stored stem down to limit the amount of air that seeps in through the scar, keeping them fresh. The ripening of bananas can be slowed by wrapping plastic around their stems, limiting the release of the ethylene gas they produce that causes them to go brown. You might know that potatoes shouldn’t be stored near onions, but you might not know that storing potatoes with apples will help to keep the potatoes from sprouting. If you’re encountering difficulties keeping berries from spoiling, try storing them in a single layer, which will keep juice from dripping down and speeding up the spoiling process. Often overlooked, fresh herbs can be preserved too: if you’re worried about getting to use them, pop them in a container with oil and freeze them. For nearly every ingredient, there’s a trick to storing it properly. Wasted food is wasted money, and no one likes quite literally throwing hard-earned money in the trash. If you find that your food is spoiling, these tips should help you to keep your pantry stocked.